Nasty Gal Is Having A Sale — Why Are You Even Still Reading This Right Now? So many cute pieces, all at half off — who said you needed to keep all your money to yourself anyway? Nasty Gal is having an awesome 50% off sale starting today, and you can get some really cute pieces at a serious steal. Just use code GIMME50 and watch the savings add up! 1. An A-line leather skirt you'll wear forever, in a million different ways, and get a ton of compliments every time you do. 2. A comfy AF oversized T-shirt that has the motto we should all live by — like seriously, why is everyone an a-hole all of a sudden? 3. A pair of super-classic high-waisted leather shorts — just because it's summer doesn't mean you have to stop wearing black or leather. 4. A strapless bandana top that just might be the perfect I-don't-give-a-f#@% summer top! 5. An oversized vintage-style jacket to keep you covered on those chillier summer nights. 6. A gorgeous red silk crop top you can wear alone or over your favorite summer dress when you need a little extra coverage. 7. A pair of mid-rise vintage denim shorts that'll keep you comfy, casual, and chic when you're just too tired to actually try. 8. A pair of mid-rise cargo pants, because it's about damn time we brought back Destiny's Child's Survivor looks. 'Bout. Damn. Time. 9. A reimagined oversized vintage jacket you can easily wear belted as a dress (as pictured) or leave open for a flowy everyday look. 10. A delicate lace crop top designed with adjustable straps and intricate lace edges. 11. A five pocket, one-of-a-kind denim skirt you'll never see anyone else in because each skirt they sell is made with a totally unique wash.
12. A fun little cuffed-hem romper so you can FINALLY get all matchy-matchy with your mechanic! 13. A cute relaxed-fit T-shirt that'll let everyone know you're not here to play — you're here to work. 14. A cropped dark denim jacket designed using vintage materials in a modern cut. 15. 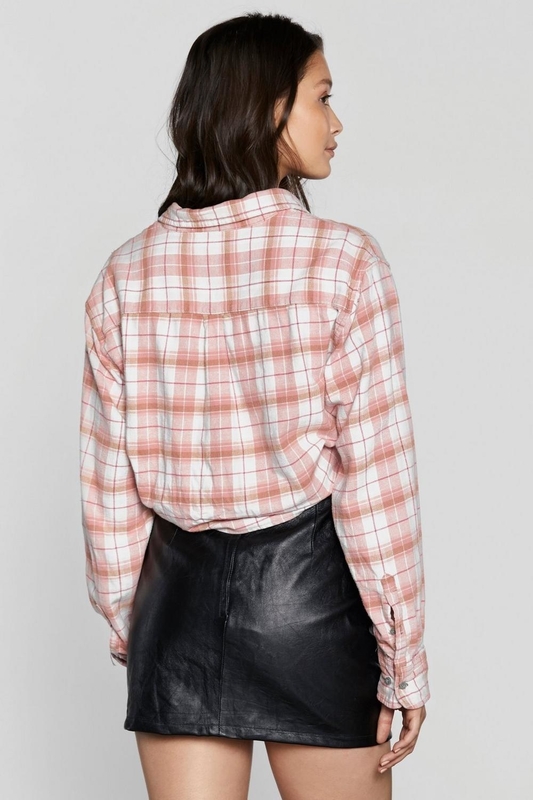 And a slightly cropped plaid top for a casual but fun blouse you can wear all the time. How you feel when the thing you've been wanting forever is FINALLY on sale!